Consider starting your planning sessions prayerfully. Post this prayer with your VBS planning materials to remind yourself that VBS belongs to God, and watch Him work through you, the volunteers, and children. Seek His guidance and praise Him often. 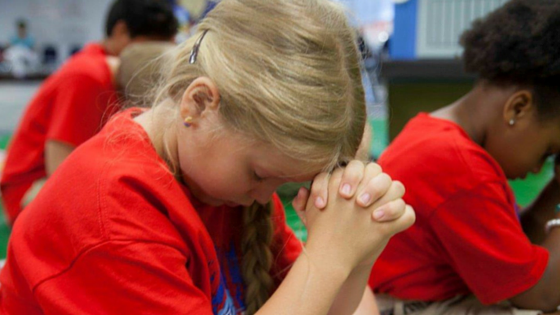 Lord God, we ask Your blessing on Barnyard Roundup VBS. Kids and families need to hear the message that “Jesus gathers us together.” The Lord is MY shepherd! Your care, provision, leadership, forgiveness, and salvation in Psalm 23 are the “now and forever” good news we all need! Provide Your presence and strength for all of us who are planning VBS 2016. Send Your holy angels to guard and protect us that Satan does not hinder the journey of Your Word as proclaimed in Barnyard Roundup to the hearts and lives of children, volunteers, and families. Lord, in Your mercy, hear our prayer for Jesus’ sake. Amen.